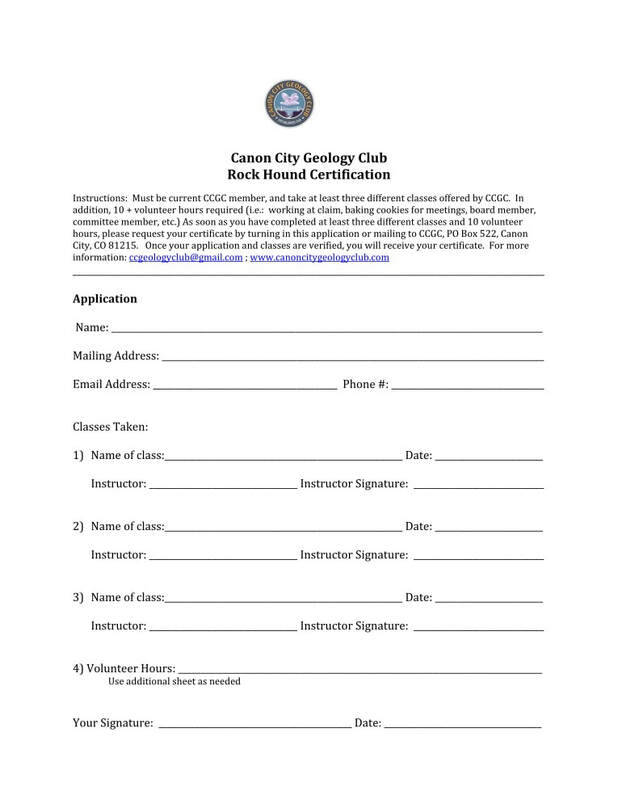 Cañon City Geology Club announces a Rock Hound Certification available through the Club. To obtain the certification and certificate, fill out the application below and turn it in at a meeting, mail to PO Box 522, Cañon City, CO 81215, or email to ccgeologyclub@gmail.com. Follow instructions at top of form. Note: Classes can be anytime in the past; volunteer hours are for 2018 or later. Click on form to download a copy to your computer.